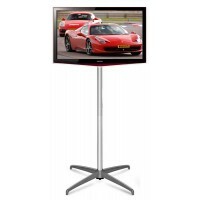 LCD Screen Wheeled Stand - Up To 50"
The maximum loading capacity of this stand is 45 kg. 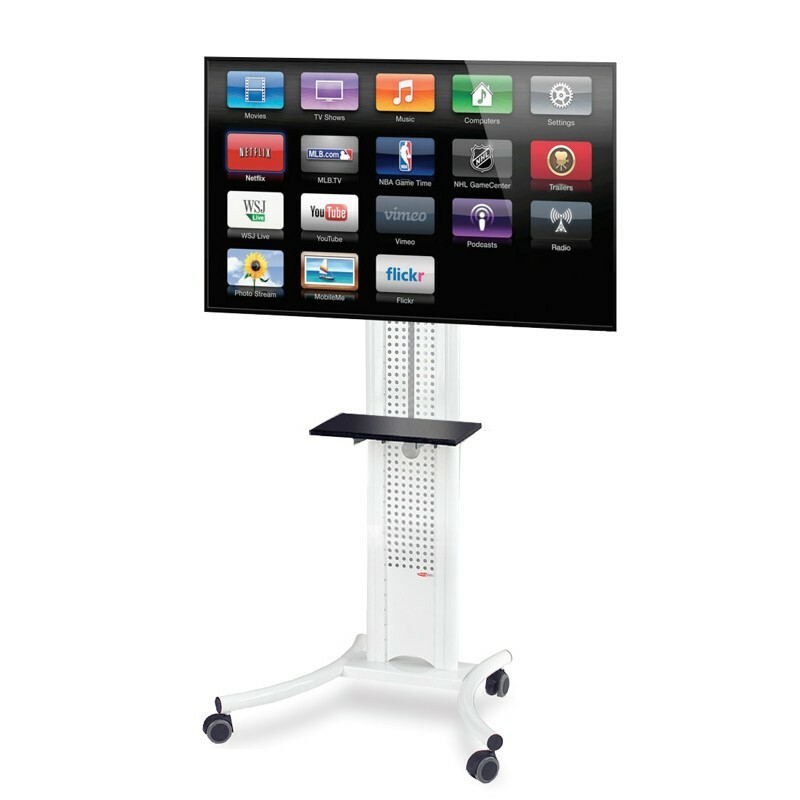 It is an attractive, functional and flexible multimedia solution with all cabling and power adapters concealed in the cable management compartment with simple front and back access panels. 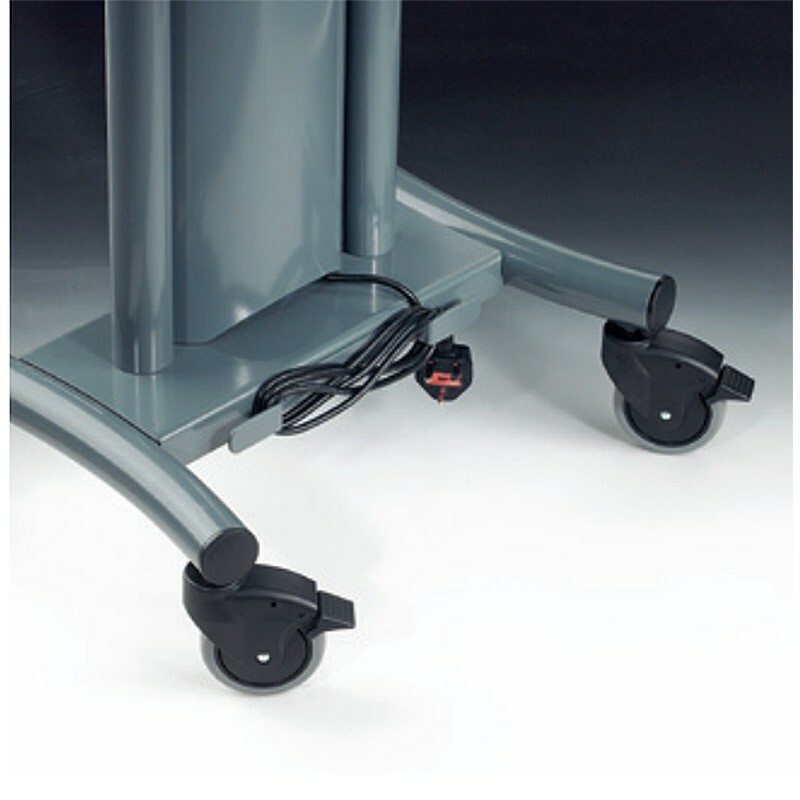 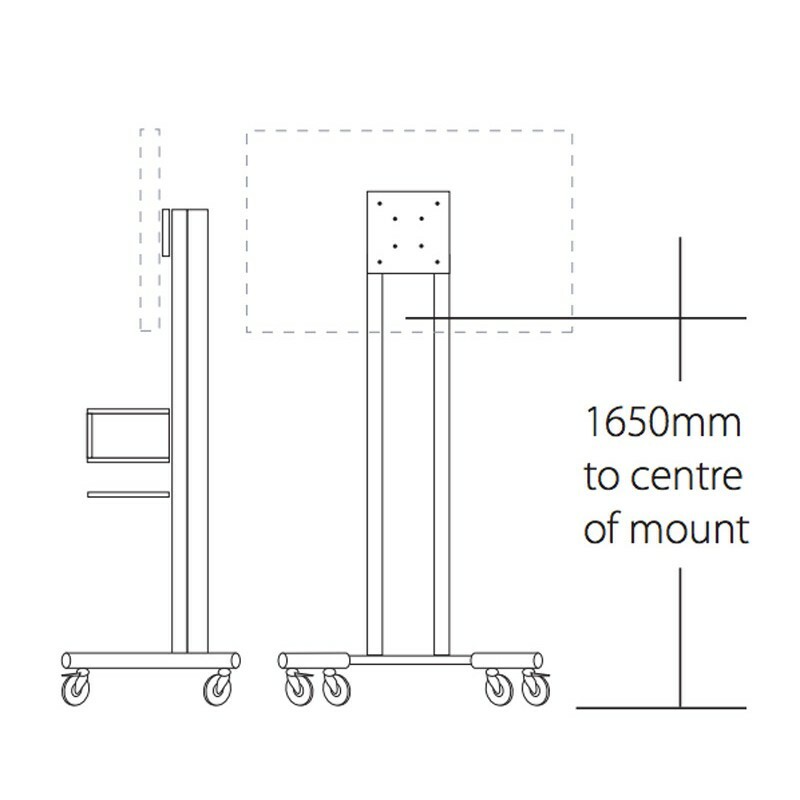 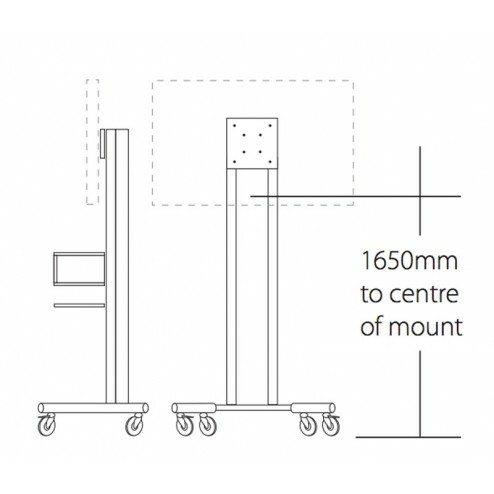 It comes with 4 10cm heavy duty castors, 2 of which are locking, for ease of mobility. 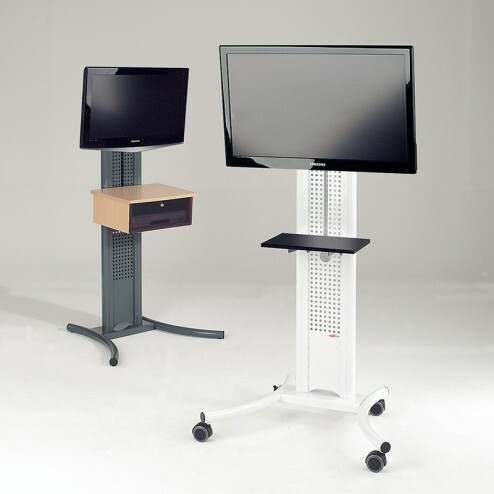 It also comes with an optional universal mounting bracket for large or non-VESA sets. 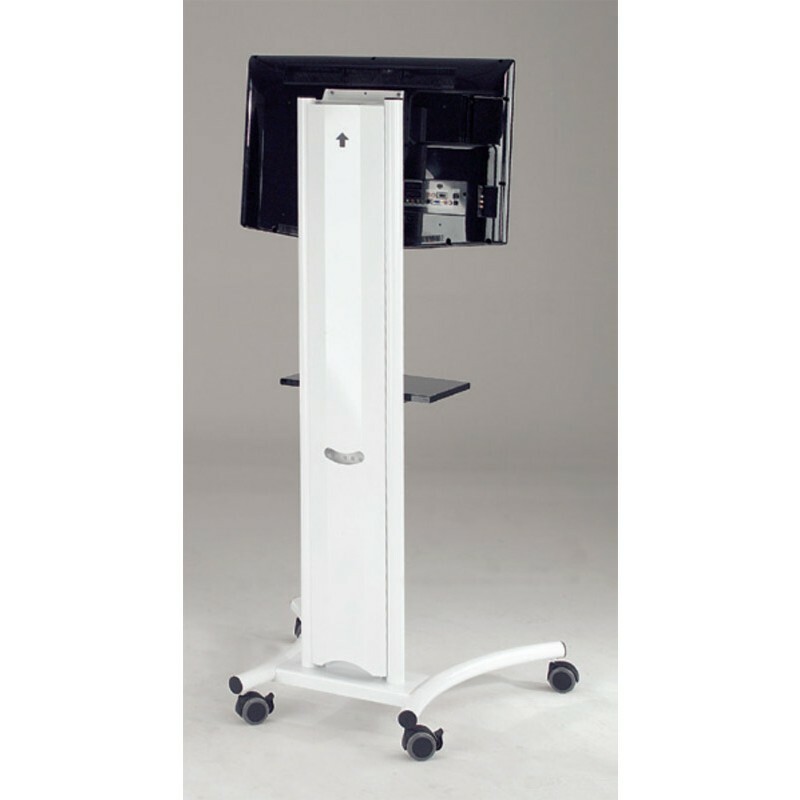 This stylish stand comes with 2 colour options: Grey frame with Anthracite coloured accessories/ White frame with Beech coloured accessories. 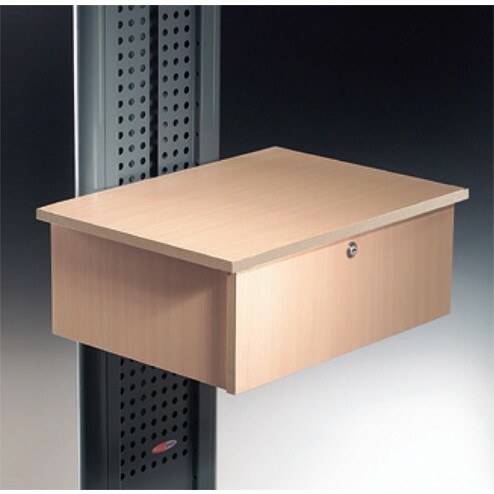 The accessories include standard shelves, locking cabinets or Infrared friendly locking cabinets. 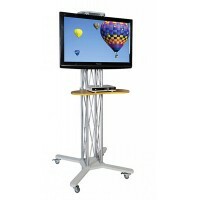 This stylish mobile stand is perfect for corporate environments, schools, universities and meeting rooms.